ambericaonline: are you guys even doing the mouseover text? are you guys even doing the mouseover text? because if you're not you're really missing out. 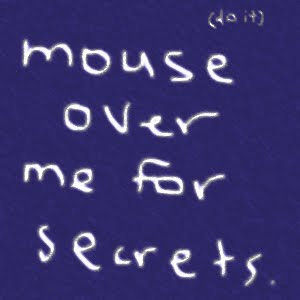 now i'm biased but i compare the newly found secret knowledge of my mouseover text to like finding out your rich relative left you millions in her will, or discovering the americas. to me, its like finding out all the pennies in your wallet are from before 1934. "And all this time I've been spending them like MONEY?!" do you at least have a twitter? you crack me up! yeah, its "Syoke" but i so dont use twitter often. but when i do, they're jems! Add me!